Buying high quality yet cheap jackets online has never been quicker or easier. 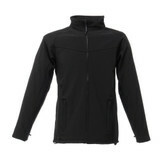 Qtag stock thousands of waterproof jackets and fleece jackets for men, women and children. Our large stocks allow us to offer wholesale jacket prices and no minimum order on mens jackets, ladies jackets and childrens jackets. We stock top branded items, including Regatta Jackets and many more. With our range of top quality jackets and fleeces, we‘re able to deliver the best quality products for the cheapest price. We stock a wide range of outerwear in all sizes, for men, women and children, all with speedy delivery too. With leading brands like Fruit of the Loom and trusted brand Regatta , there’s the perfect choice whatever you need. Our products come to you with the best value wholesale pricing on mens jackets, womens jackets, fleece jackets, waterproof jackets and loads more, allowing us to deliver the best quality at the cheapest prices, straight to your doorstep. For mens jackets , womens jackets and childrens jackets, you won't find a better deal, or faster service, whatever your needs. We also provide a great range of Hi Vis jackets and work clothing too. 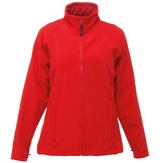 Our best-sellers across the entire range include the Uneek Adults Fleece Jacket and the Jerzees Colours Ladies Soft Shell Jacket. You can trust that these options, and the rest of our selection of fleeces and jackets, will do the job of keeping you warm. Whether you will be participating in sport or will be using these wholesale fleeces and jackets for comfortable leisure wear, you can rely on one of our premium jackets and fleeces to keep you feeling snug and protected when outside. 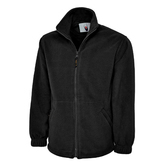 We buy and sell our jackets and fleeces in bulk. This means we can pass these savings on to you, our customers. The more jackets of fleeces you buy, the more you save. Our quantity discounts on outerwear start at just three items of the same colour and style. We keep our warehouses stocked with hundreds of thousands of items at all times. This means your order will be dispatched and delivered quickly. Qtag stocks the best outerwear brands on the market, like Regatta and Uneek, so that you can be sure of being delighted with the quality of your order. We do not specify a minimum order meaning you are free to order whatever you need, even if it is just one waterproof jacket. Our in house web developers have specifically designed our website to make it as easy to shop for you as possible. You can complete the entire process online. However, if you would like extra assistance our friendly customer service are available Mon-Fri, 9-5 to answer your phone call.